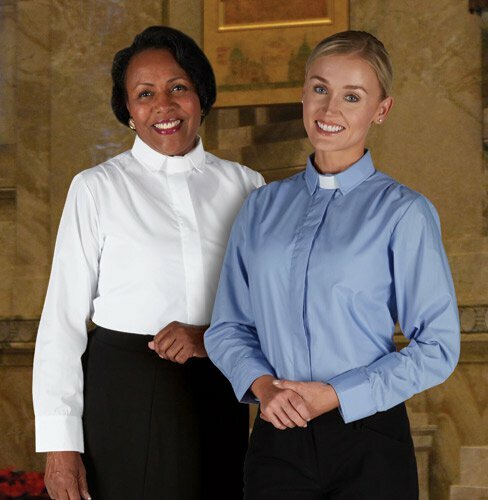 These stylish blouses offer soft pleats at the shoulder, a straight hem and have a unique contemporary collar that can be worn closed or open. Machine wash easy care fabric. Includes 2 tab collars. Gift Boxed.